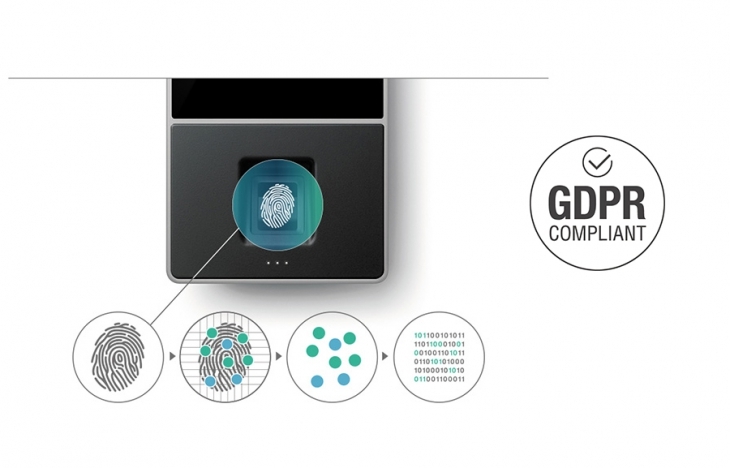 Due to the new European GDPR legislation that was enforced on 25 May 2018, no fingerprints (or face scans) are stored on the TimeMoto Cloud servers. Only encrypted, not-backtraceable code is safely kept on individual clockings in a terminal, allowing the identification of users. Please note that due to the GDPR you will have to physically register the fingerprint (or face scan) of users on each separate device users will be using to clock in or out. If you want to find more information about how the TimeMoto Cloud complies to GDPR, please click here.